Your home drainage system should be worry free and this begins with your roofs and gutters. When we install Gutter Helmet® gutter guards, you can rest assured that your drainage system will work for you without a lot of intervention. Constant gutter cleaning becomes a thing of the past with Gutter Helmet® gutter guard. Keep your gutters flowing with a rain gutter guard by Gutter Helmet & Harry Helmet. How Does a Rain Gutter Guard Work? When you think of gutters, you likely think of troughs that move water to a drain. This is how gutters should work, but unfortunately, it’s not how they always work. In reality, open gutters or any gutters with vertical openings get clogged with debris. With Gutter Helmet®, your gutter has a shield that protects it from debris, even fine debris such as evergreen or fir needles. Using surface tension and ribs that slow down the flow of water, Gutter Helmet delivers water into your gutters, minus the debris. With a 3/8″ gap, it can accommodate heavy rain (up to 22 inches per hour) while still maintaining unclogged gutters. Gutter guards don’t just save you time, they also help you avoid leaks. Rain gutter guards aren’t just helpful to your gutter cleaning budget. Clogged gutters mean that you have to stand on a ladder or hire a professional, choosing between a potential hazard and a cost every year. Clogged gutters also lead to additional trouble with your roof siding & foundation. Gutters that clog can back up water under your roof, leading to ice dams in the winter and rot and leaking during other months. You may see signs of leaks in the interior of your home as well. Overflowing gutters can lead to moss, mold, or rot in your siding or could lead to problems with your foundation as water pools around the sides of your home. Cascades of water can also cause landscape erosion. When you protect your gutters, you protect your home. How can you install and maintain gutter guards for the best performance? Gutter Helmet® relies on certified installers, such as Harry Helmet®, to ensure that your rain gutter guards are ready to protect your home during all four seasons. You might choose to renovate your drainage system entirely, adding seamless gutters and covers to reduce sagging. When we install each gutter guard, we also do so with customized heavy gauge brackets to reinforce your gutters and support snow loading, so that your gutter guards will continue to work well mo matter what mother nature throws at them. 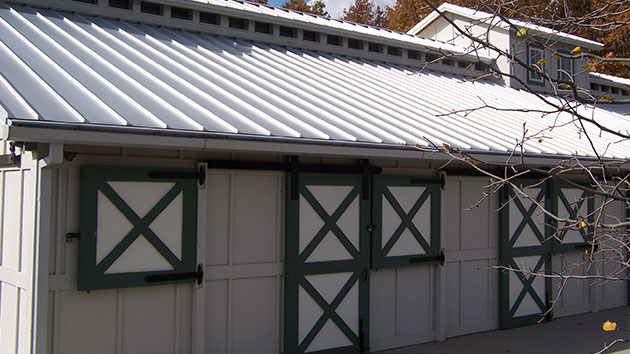 Gutter Helmet gutter guards are covered with a triple lifetime performance warranty from the manufacturer that is also transferable if decide to sell. When you’re looking for a better gutter solution, contact Harry Helmet, your official Rain Gutter Guard & Gutter Helmet installer. We not only make an effective and proven rain gutter guard, we install it with manufacturer certified installers. Contact us today and get in touch with certified professionals who will ensure that your rain gutter drainage system will work optimally every day of the year.